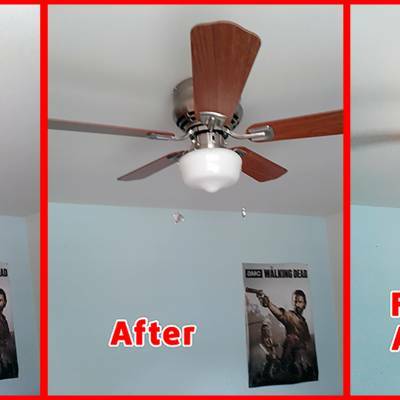 For today’s project, we installed two ceiling fans for our client. 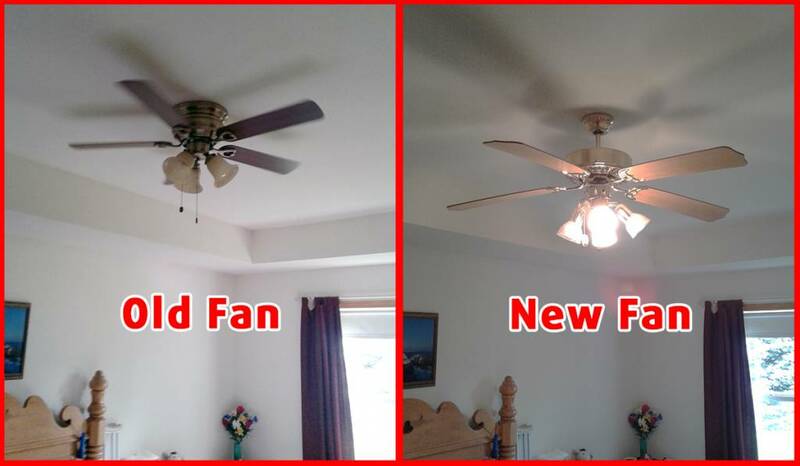 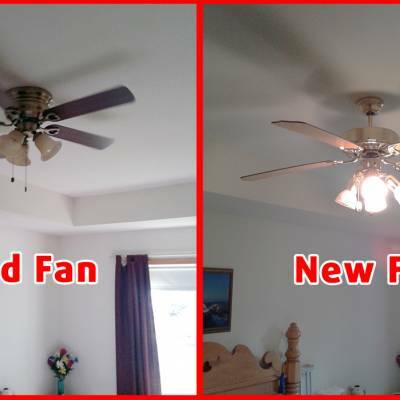 Not only are they updated fixtures, but their styles are more modern and they’re larger than the previously installed fans. 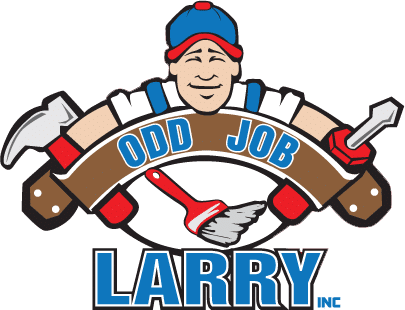 Check out the pictures below and be sure to contact Odd Job Larry with your next project, big or small!